This is a product that is made of fiberglass and has a wood coating that works best as a hunting bow. The riser is made of hardwood from the bintangor, makore and chuglam trees. The total length of the bow is 60” and gives a draw weight of 35 to 55 lbs. The limbs are made of fiberglass and have a smooth wood finish made out of maple and makore. The SAS Courage Recurve Archery Bow makes hitting fast and accurate because the bow is well structured and balanced. The bow comes with pre-installed brass bushings for the plunger stabilizer and sight quiver. 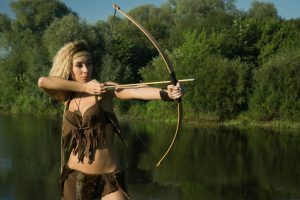 The bow is long and more force is transferred to the string for powerful shots, even at long distances. 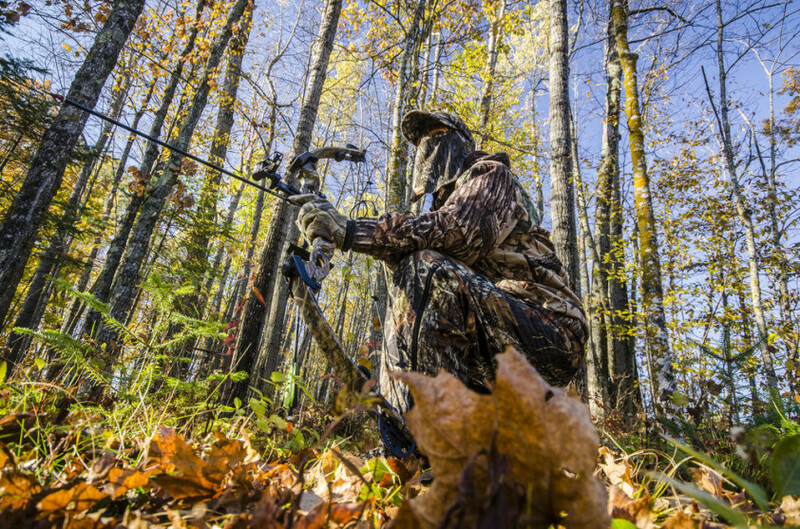 The bow is great for hunting as the 55 lb. force will drive the arrow to great acceleration and powerful impact to the target. Draw weight is 35 to 55 lbs. The handle is made of wood and is firm to hold. The solid structure and rust-free covering of the product make it appropriate to bring outdoors. 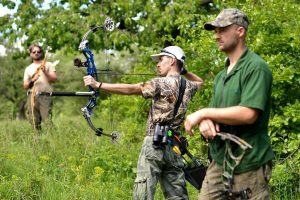 The product is a large-sized recurve bow that can be used for practicing and hunting. The bow is made of a mixture of fiberglass and finished with wood composites. The riser is made of pure wood which is stable and provides a solid base for the entire bow. The bow is easy to hold and the string is sturdy. The overall length of the product is at 60”, and it can deliver powerful shots. 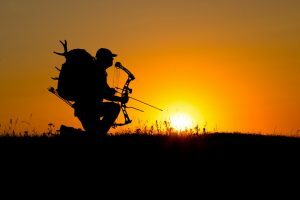 The draw weight is a maximum of 50 lbs., which makes the bow powerful enough to hunt large animals. The product is light and uses a simple mechanism. The riser is stable and keeps the sturdy limbs centered and stable even as the string is being drawn. The limbs are made of good quality fiberglass that is attached to the riser through two screws. Drawing the string is smooth and well-executed and gives enough force for hunting animals. This is a takedown bow that can be disassembled when necessary. The bow is reasonably priced and has high quality. All parts hold well and do not easily break. For beginners, the product will be able to resist impact and mishandling. The screws on the riser are made of brass and fit well into the holes; the brass screws are sturdy and are rust resistant. It is a well-built item that can be used for a long time. The product will not corrode or rust due to the smooth and multi-coated finish of the limbs. 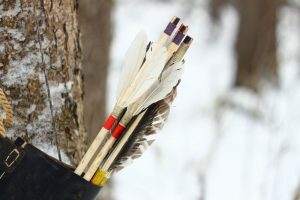 The string’s tension is not too loose, and pulling the arrow is done without too much effort. 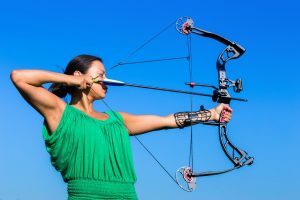 The bow will not cause arm or shoulder strain. The bow has a simple mechanism and can be assembled fast. The limbs of the bow are screwed to the limbs with the use of an Allen wrench. The limbs flex well and give appropriate tension to the strings as they are drawn with appropriate for manageable weight and intensity. Beginners will have a better grasp of the product and quickly learn archery fundamentals. 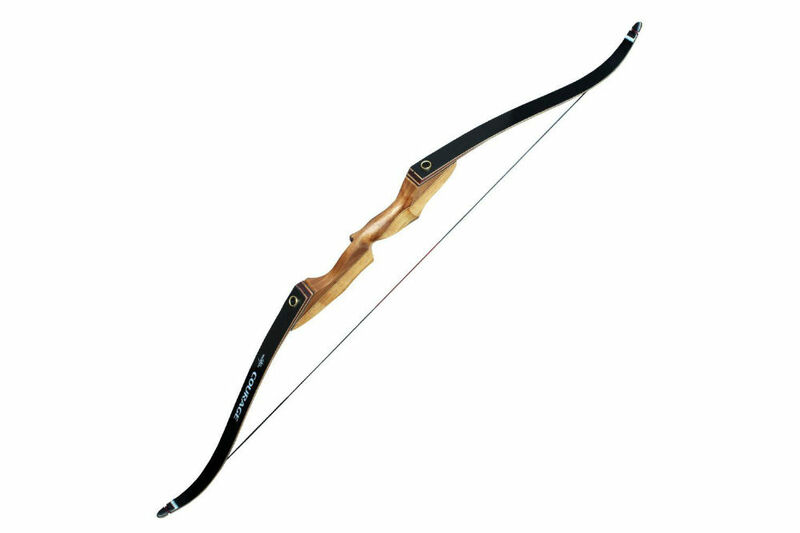 Aside from the high quality of the product, the price is reasonable and is a good investment for a beginners’ bow. The cost of the product is good for the durability and the high quality of the product. The look and smooth finish of the product are nice and the overall look of the bow is beautiful. It gives the archer an added edge. For a takedown bow, the product is hard to assemble and will require an Allen wrench to put the bow together; this may cause inconvenience to a user who does not have the wrench when needed. 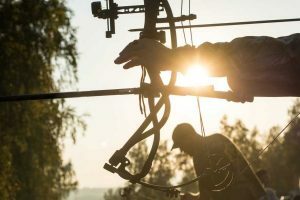 Putting the bow to the riser is also difficult for some users, and dismantling it will be an inconvenience. The wrong assembly might also cause the limbs to look misaligned. The string is also not easy to put on and the chambers seem to be misaligned. 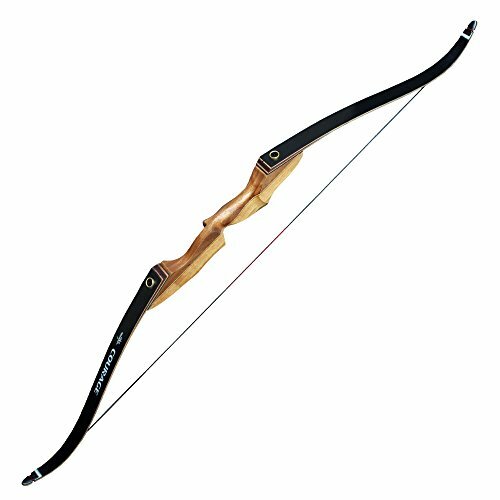 This is a good beginners’ bow which can also be used for hunting. The draw weight is 55 lbs., and can be used for hunting large animals. The penetration is deep and hard because the string brings the energy efficiently to the arrow. 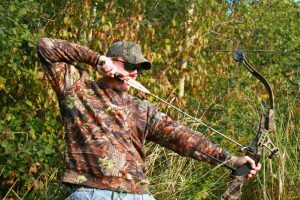 The SAS Courage Recurve Archery Bow is made of fiberglass that is coated by many layers of wood. This makes the bow very durable and rust resistant. The product will not morph or become distorted when subjected to heat. The coating is smooth and gives the bow an elegant look. Takedown bows are good for transport and for parts replacement, but can be time consuming to put together and pull apart.